this looks so amazing...I just want to take a bite!...love it! 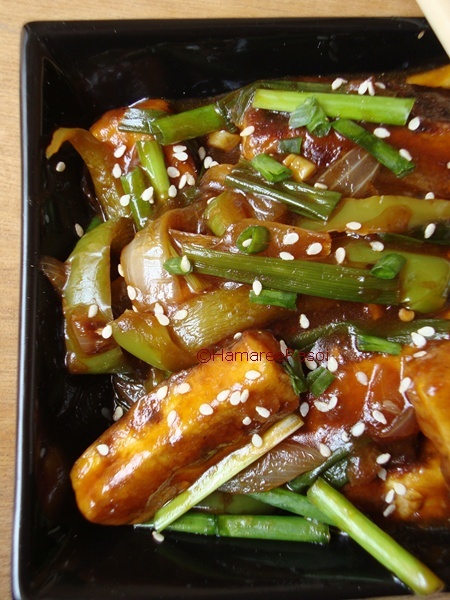 Nice and healthy recipe...love tofu recipes...this looks absolutely yummy. Cant take my eyes from ur clicks, super irresistible chilly tofu Deepa. Looks so tempting! !I make chilli paneer very similar to your version..now will surely try with tofu.thanks for sharing.. Perfect dish..lovely colour...looks so appetizing.. Very yummy looking chilly tofu. Yummy n beautiful with those sesame seeed garnishing. Thanks I have silken tofu in the fridge. I realize I wil have to modify my dish but I will definitely try this out. Will let you know the end result. i am developing taste for tofu and now i think am loving it...thxs for posting it !! 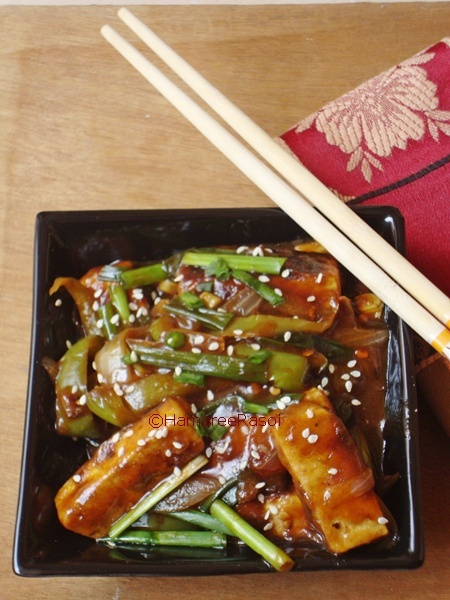 wow..chilli tofu looks so yummy n tempting...wonderful preparation...will try this for sure! Visiting your space for the first time great pictures and some mouthwatering recipes. Will be visiting more often. Chilly tofu looks so yummy n mouthwatering presentation. Will try soon. mouthwatering n delicious chilly tofu..
Yummy tofu..I luv tofu equally as i do with paneer..perfect chilly tofu.Pls pass the bowl. Awww! This is so lovely..Look so tempting! Yummy! Nice blog, now joining u!